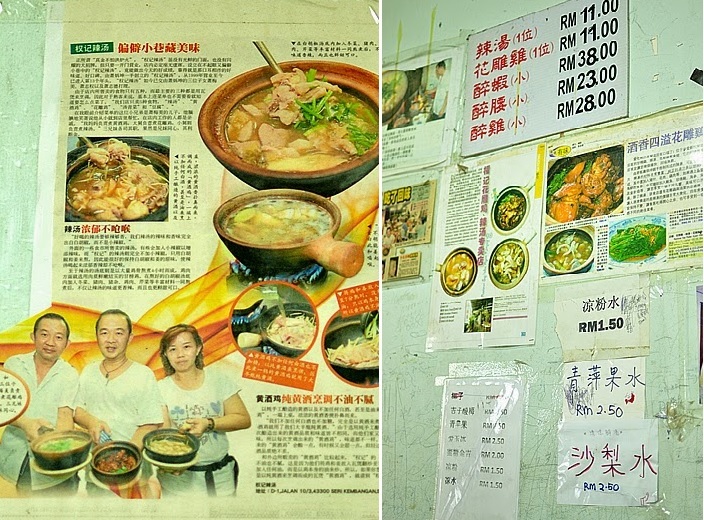 One of the must try or famous place around Serdang / Seri Kembangan is Restaurant Kien Kee Spicy Soup 权记辣汤花雕鸡专卖店; even it was hidden in the small chinese village with not attactive dining environment; the good food served no doubt was the reason behind. The restaurant is located behind the Post Office in Jalan Besar Seri Kembangan with mainly non air conditioned area and a small air conditioned area. Signature Spicy Soup / 辣汤, the spicyness of the soup came from the crushed of peppercorn and ginger cook with the soup, thus the soup is clear with ingredients of chicken, pork meat, stomach, intestine and liver. 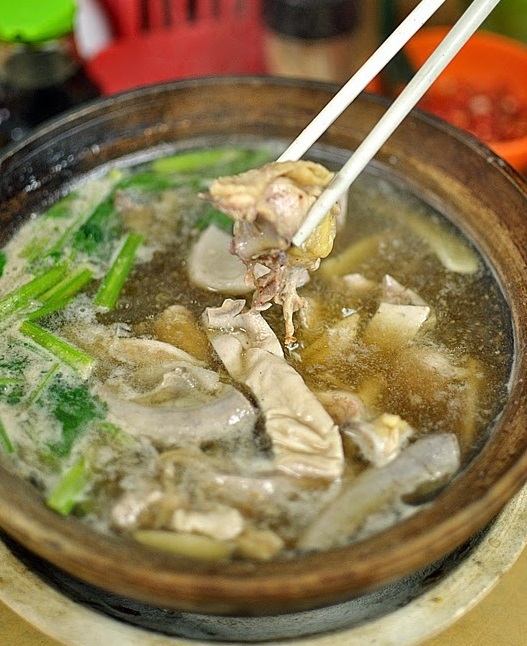 Soup cook with claypot to retain the heat, the taste of soup is similar to the Singapore's style of Bah Kut Teh. 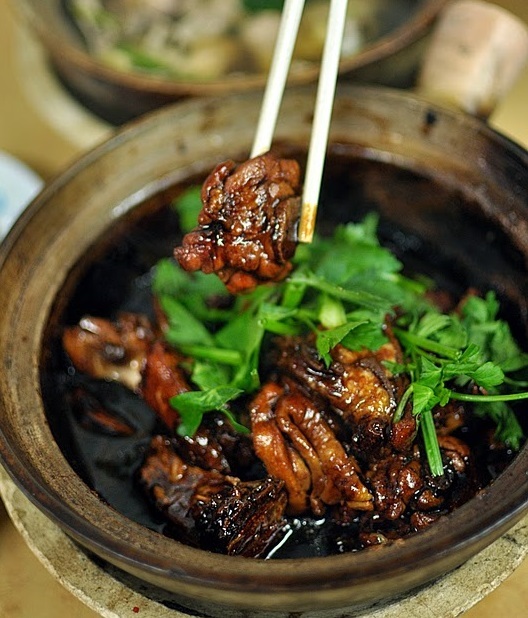 Another signature dish “Fah Tiu” Claypot Chicken 花雕鸡, chicken pieces cook with Hua Diao Chinese rice wine. Chicken are coated with thick, dark caramelised, sweetness sauce which goes really well with a bowl of white rice. Others dishes, prawn cook with chinese rice wine 醉虾, toufu and vege. Although the food price has been increased for few times, but it still be one of the cheap good food at Serdang / Seri Kembangan area especially during the rainny and cold weather with the hot & spicy soup. Single portion of spicy soup and “Fah Tiu” Claypot Chicken 花雕鸡 is enough for sharing of 2 persons.